Viola Davis made history at the 2015 Emmy Awards by becoming the first black woman to win in the Lead Actress in a Drama Series category and tons of stars are celebrating with her! 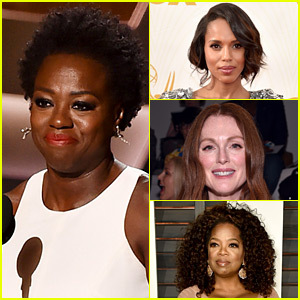 The How to Get Away with Murder actress thanked other women who have paved the way, including Taraji P. Henson, Kerry Washington, Gabrielle Union, Nicole Beharie, and Meagan Good. Congrats to her!